What a cute Christmas story! Matilda and Sterling were sweethearts, but Sterling decided before he could marry her, he needed to make something of himself. Sadly, miscommunication left Matilda behind feeling lost and abandoned while Sterling strove and struggled to become worthy of her. Years past before Sterling returned, finding things weren’t quite as he expected. Matilda used her stubbornness and strength to survive everything life had thrown at her after Sterling left, and your heart hurts for the depth of her dashed hopes and dreams. You also find yourself cheering for her as she works through her pride and reaches out to grab hold of her happy. Good thing Sterling also had a stubborn streak to keep up with Matilda and kept proving to her over and over his love for her - and it’s a good thing his heart was in the right place! I loved how he refused to give up and gifted Matilda with something she desperately needed. 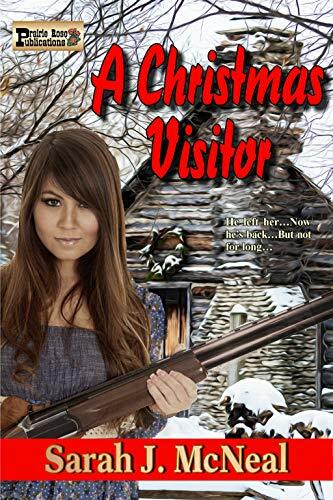 This second chance love story offers a sweet and short Christmas time heart-warming happily ever after.